Our credit card was hacked and shut down by our bank. Not a big deal, you say. Just have the bank send you another card and credit any fraudulent charges. If only it were this easy. Being a boat nomad makes some of the simple things in life become very complicated. Receiving a single piece of mail or a package can sometimes prove to be a real challenge. We received a text and email from our bank wondering why we were trying to purchase gasoline in North Carolina. We weren’t. Hats off to the bank for knowing this was out of our usual realm of purchasing habits and flagging the usage a fraud. Apparently no charges made it through but the account was closed and our card is now worthless. I contacted our bank in the USA to let them know the chargers were not ours and arranged for them to send another card. We are still in Bonaire berthed in the marina so currently we have an address to where they can send the replacement card. But being a big company, their choices were limited to two carriers: The US Postal Service regular mail or FedEx Priority. We love the US Postal Service and used them almost exclusively when Cindy ran her business that included an etail site. We avoided using FedEx for a multitude of reasons. Have you notice over the years how Amazon has moved more toward the USPS and away from FedEx? There is good reason for this. And, you are about to understand why. An envelope sent from the USA to Bonaire by regular mail is going to take about 6-8 weeks to arrive. It is not the USA portion of the shipment but all the stuff in between causing delays. The phrase, “slow boat to China” comes to mind. We recently ordered a replacement belt for our European style washing machine. The company was in England and we pleaded with them to send the part via DHL. We offered to pay for the extra shipping, and then some. Our laundry was piling up. They told us they were only set up for Royal Mail and it would take about 3 weeks to arrive. We figured we could wait 3 weeks and make a run to a local laundry. It took 7 weeks. The chances of us still being in Bonaire when the new credit card arrived if it took 7 weeks are pretty much slim to none. Regretfully, our only choice was FedEx. In the islands, DHL is the preferred air freight carrier and there are good reasons for this. We asked our bank if they could ship DHL. Unfortunately, they could not. FedEx it is. We gave the bank the address of the marina and told them to ship it to us here marking the package YIT – Cream Puff (YIT = yacht in transit). Our bank contacted us a few days later saying they could not get FedEx to verify the address and could not ship using FedEx. They had been in touch with their FedEx representative who was unsure if they could even ship to Bonaire. After some thought and trying to figure out FedEx’s web site, we asked them to send the credit card to Aruba. We will be there in a couple of weeks and we can have the marina there receive the package. Yachts often have parts sent ahead of them to various destinations and marinas are willing to hold packages until they arrive. Just in case, we verified with the marina and they confirmed they would hold the package until we arrived. On a funny side-note here, when we arrived in Palmas Del Mar Marina in Puerto Rico, the dock staff said they knew we were coming because the office was full of packages for us. It took three guys and two golf carts to bring the packages to Cream Puff’s berth. We took full advantage of shipping ahead to Puerto Rico since the US Postal Service’s shipments there are at regular mail rates while FedEx considers Puerto Rico as international and charges international rates. A marina employee said it must feel like Christmas on our boat when we arrive. The next day we received a tracking number from the bank and knew our new credit card was in route. I logged on periodically during the scheduled delivery day to ensure FedEx made the delivery. At about 5 pm, the tracking number was updated stating the package was refused by the recipient at 4:07 pm and was being returned to the shipper in the USA. We called FedEx customer service in the USA at their main number (the Aruba office was already closed). 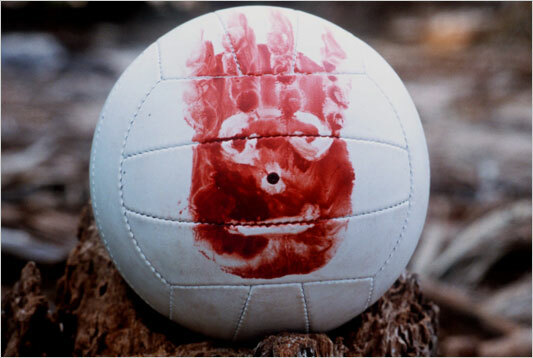 I’m am convinced in the movie Castaway where Tom Hanks played a FedEx executive stranded on a island, that Wilson was a metaphorical image of a FedEx Customer Service Representative: A big ball of nothing but air. After an hour of going around in circles we were told by a FedEx supervisor they would contact the Aruba office and arrange for our package to be redelivered. They didn’t and it wasn’t. Instead the package was returned to the USA. When we told the marina the package was refused, they were stunned. They know to accept all packages ahead of arriving boats. All of the staff is trained to do this. They reviewed their security tapes of the marina office to try to figure out what went wrong (we didn’t ask them to do this – they wanted to know if they made an error). One hour before the time FedEx claims to have tried to deliver the package and until the marina office closed, they have time stamped footage showing no FedEx vehicles were on site and no FedEx delivery person entered the office. The marina supervisor was in the office the entire time and verified FedEx made no attempt to deliver our package. I remember a time when customer service people were empowered to actually provide customer service. Yeah, I know. I am sounding like a grandpa when he would say, I remember when a Coke was a nickel. But, what the heck happened? When did the people of the USA become so complacent with terrible service and why are they willing to accept sass from customer service teams. I wish I could say the FedEx staff was polite and helpful. They were far from it. At first, they tried to put the burden of work on us to contact the Aruba office. We explained they were closed and not answering the phone and our package was being returned. Only with me being very insistent did they finally agree they would make contact for us. They also took our phone number and said they would follow up with us regarding the delivery when it was rescheduled. Do you think we heard from them? Nope. We called FedEx again and told them what we had learned after receiving an email from the marina regarding the security footage. “I’m sorry for the inconvenience. There is nothing I can do to help you” was the phrase repeated over and over again. I would like to meet the clown who thought it would be a good idea to train all customer service people to begin every sentence with, “I’m sorry. I regret any inconveniences this may have…” Only to be continued with passing the burden of work back to the caller, “Have you tired….” I would like to meet this clown so I can punch them on their big red clown nose. As a person calling with a problem, what I really want to hear is, “Let me fix this for you. Here’s how I am going to make this right”. Like Amazon does! Our credit card is on its way back to the bank. We are on our way to Aruba. All I can say is I am glad we have alternative credit cards to use. And I’m also very glad I don’t have to work at a FedEx customer service center. What a miserable job that would be talking to people all day long without being empowered to actually do anything to help. I think I might go postal*. Ha ha! Get it?